We continue to explore the uses of Béchamel sauces with this fantastic vegetable side dish that’s sure to warm your family on the coldest of winter days. Step 1: Preheat your Yoder Smokers YS640 to 400°. 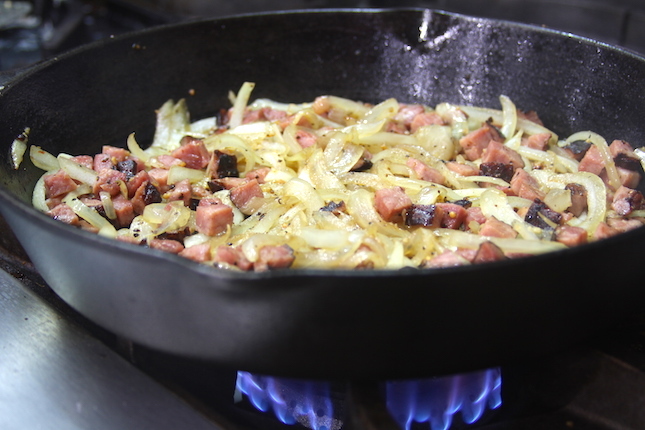 Heat half the olive oil in a 10” Lodge Logic Cast Iron Skillet. Add the breadcrumbs. Toast over medium heat, tossing occasionally, until golden brown and crisp, about 10 minutes. Transfer to a small bowl. Wipe out any crumbs left in the skillet. 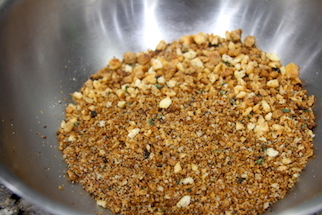 Add thyme and ¼ cup Parmesan to the breadcrumbs. Season with salt and pepper. 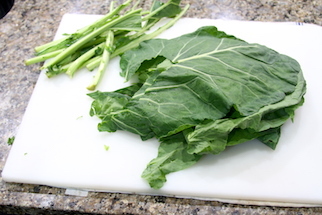 Step 2: Cook collard greens in a large pot of boiling salted water until tender and bright green, about 4 minutes. Transfer to a bowl of ice water, and let cool. Drain and squeeze. Dry with paper towels. Coarsely chop greens and place in a large bowl. Step 3: Heat remaining olive oil in your cast iron skillet, over medium heat. Add ham, onion, and 1 Tbsp Code 3 Spices Grunt Rub and cook, stirring often, until onions are soft and translucent, about 15 minutes. Transfer to bowl with greens. Reserve the skillet. 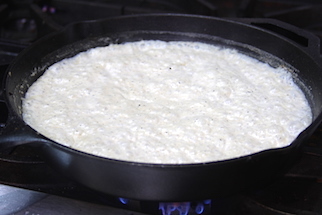 Step 4: To make the béchamel: Melt butter in the reserved skillet over medium heat. Add flour and cook, whisking constantly, until mixture is smooth and just beginning to brown, just a few minutes. 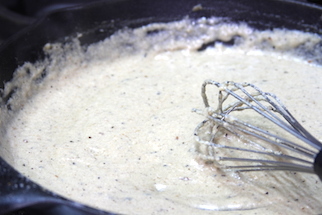 Gradually whisk in milk then add nutmeg. Simmer, whisking often, until thickened, about 5 minutes. Whisk in remaining ¾ cup Parmesan. Add béchamel to collard green mixture and mix to combine. 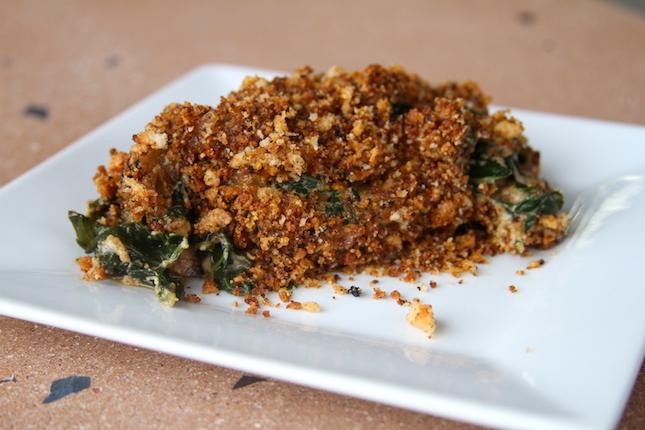 Step 5: Transfer collard green mixture to a skillet and top with breadcrumb mixture. Bake until gratin is bubbling, about 20 minutes. Let cool slightly before serving.